Mollie Steimer, Jacob Abrams, Hyman Lachowsky and Samuel Lipman were immigrant NY anarchists who were tried by the government under the "Espionage Act". Ironically, this was a precedent legal case. Below you will find some information I directly pulled from various sources. Each source has been sited. (http://www.rightsmatter.org/teachers/Abrams.pdf ) had been scattered in the streets. Two different leaflets were involved – one in English and the other in Yiddish. Very shortly five immigrants of Russian extraction – four anarchists and one socialist – were arrested in New York’s East Side for distributing “seditious” leaflets by floating them from a third floor window down to the street below. One of those arrested, Jacob Schwartz, soon died in police custody. His associates claimed he was the victim of police brutality. The four remaining suspects – anarchist Mollie Steimer, Jacob Abrams, Hyman Lachowsky and socialist Samuel Lipman -- stood trial in New York ’s Southern District Court in October 1918. The city was still tense from the raids to net “slackers” (draft dodgers) which had taken place the previous month. In one three day period, over 20,000 men had been hauled off the New York streets to jail for failing to register for the draft. In August 1918, President Woodrow Wilson had dispatched 7,000 troops to Siberia . By this time, Russia had concluded the Treaty of Brest-Litovsk with Germany and withdrawn from the First World War. President Wilson justified intervening in revolutionary Russia by claiming American forces were needed to protect a Czech legion, which had been stranded in the Ukraine when Russia withdrew from the war. The pamphlets found in New York streets condemned American intervention in Russia . They did not specifically concern America ’s role in the First World War. All the DEFENDANTS had left Czarist Russia between 1908 – 1913, a period when over 400,000 Jews like themselves emigrated from Russia to the United States to escape social and religious oppression. Jacob Abrams was born in the Ukraine in 1894 and had taken part in the failed 1905 Russian Revolution. He became an anarchist after emigrating from Russia to New York City to join his sister. He was employed as a bookbinder. Considered extremely militant in his views, Abrams became the center of a small anarchist group, which met in East Harlem in 1918. Hyman Lachowsky also worked as a bookbinder and attended meetings of the group. Eyewitnesses claim he was badly beaten by police during interrogation. Samuel Lipman was the one socialist among the defendants. He worked in the fur trade where there were many socialist workers. He was the author of the English-language leaflet, the milder of the two. Mollie Steimer was twenty years old at the time of her arrest. Only 4’9” tall and weighting 90 lbs, she often taken for a child. She worked as a seamstress in shirtwaist factory and had become and anarchist in 1917 out of the distress of her family’s poverty. During the trial, she refused to stand when the judge entered the room was resolute in her expression of her beliefs. The DEFENSE ATTORNEY was Harry Weinberger. Weinberger was the son of Hungarian immigrants. He got his law degree studying nights at New York University Law School while he worked during the day as a stenographer. When the Abrams trial began, Weinberger was 32 years old and had 10 years of legal practice behind him. He had left the Republican Party two years previously and had begun to embrace some radical beliefs, including pacifism. At a time when radicals found it difficult to get a lawyer, Weinberger took their cases. He believed that lawyers had a sacred duty to make sure that the poor and weak could obtain the same protection under the law as the rich and powerful. The JURY in the trial was made up of men aged 45 and over. Many were retired businessmen. The defendants were charged under the Espionage Act, by this time amended by the Sedition Act. During the trial the PROSECUTION confined its case to proving that the defendants wrote, printed and disseminated the pamphlets. It made no attempt to prove that the pamphlets harmed America ’s war effort. DEFENSE ATTORNEY WEINBERGER argued that the pamphlets were not aimed at undermining the war with Germany , but only at preventing American intervention in Russia . Unless it could be proved that they had undermined the war effort, there were no grounds, he maintained, to condemn them under Espionage Act. In his two hour summing up, Weinberger called the defendants young idealists, “liberty-loving Russians” who wanted a better world. Not they, but government officials, were “the subversives” in this case. The government was subverting the First Amendment. JUDGE CLAYTON made no attempt to present a neutral front during the trial. He referred to the defendants’ “puny, sickly, distorted views” and said: “If we have got to meet anarchy, let us meet it right now.” At one point he asked Abrams, "Why don’t you go back to Russia ?’ Among his numerous interventions, he questioned Mollie Steimer on her views toward love and marriage. The four defendants were found guilty. After submitting them to a two-hour tongue-lashing, Judge Clayton sentenced the men to 20 YEARS IN JAIL and FINED THEM EACH $1,000. Mollie Steimer was given 15 YEARS IN JAIL and a FINE OF $500. The war ended a few weeks later. To summarize the decision: the Supreme Court upheld the lower court decision, with only Justices Holmes and Brandies dissenting. Chief Justice White wrote the majority opinion, which applied the “clear and present danger” doctrine as it had been articulated in the Schneck case to the Abrams case. White argued that under the circumstances in which the Abrams leaflets were written and disseminated, the First Amendment did not apply. The purpose of the radical leaflets was not as – Weinberger had claimed – simply to prevent the intervention of American forces in Russia , but to stir up revolution and frustrate the government’s military program. After the Supreme Court handed down its judgment in Abrams et al. v. United States, the defendants were sent to prison to serve their 20 and 15 year sentences. President Wilson did not declare post-war amnesty for political prisoners, as many had hoped he would. Believing that deportation was preferable to a life in prison, Attorney Weinberger worked hard to get them deported under the Immigration Act of 1918. In late 1921, President Warren Harding agreed to deport the four defendants to Soviet Russia. They arrived in Soviet Russia a few months after the defeat of an anarchists-supported uprising against the ruling Bolshevik authorities. In the following years, Steimer, Lipman, Lachowsky and Abrams continually felt the weight of state repression. Socialist Samuel Lipman died in Stalin’s purges. Lachowsky perished under the Nazis. 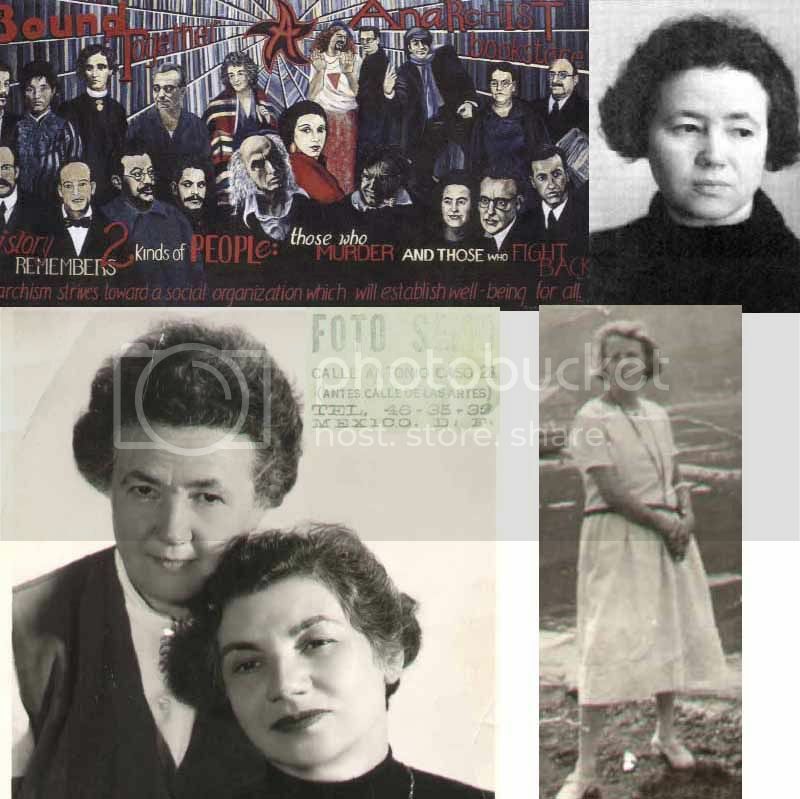 Mollie Steimer was arrested by the Bolsheviks in 1922 and deported from Russia the following year. When Hitler assumed power, she fled Germany , only to be arrested in France and put into a concentration camp. But eventually she was freed, and finally settled in Mexico City where Jacob Abrams edited a Yiddish-language newspaper. There she spent the rest of her life, dying in 1980 at the age of 83. Jacob Abrams and his codefendants--Hyman Lachowsky, Jacob Schwartz, Mollie Steimer, and Samuel Lipman--were Russian-born Jews living in the East Harlem section of New York. They became involved with the Yiddish-language paper Der Shturm (The Storm), which advocated anarchist doctrines and policies. With their fellow anarchists, they sought to destroy capitalism and government and create a collectivist but uncoerced society. Although anarchists usually rejected Marxist socialism, many initially were dazzled by the Russian Revolution. During August 1918, the Shturm groupreacted with passionate opposition when President Woodrow Wilson sent U.S. troops to Siberia. Samuel Lipman prepared an English pamphlet attacking U.S. intervention, while Jacob Schwartz wrote a much more militant version in Yiddish. On 22 and 23 August, fellow anarchists distributed the leaflets by scattering them from rooftops in Manhattan. The New York police soon traced the leaflets to the Shturm group. Joined by army officers, the police interrogated the prisoners until each confessed. They later accused the officers of beatings and torture, and Jacob Schwartz died in prison the following October." I have not seen this book about the case yet, Fighting Faiths: The Abrams Case, the Supreme Court and Free Speech by Richard Polenberg. I'm wondering if anyone has? who's in that mural? I recognize the Magon brothers, Mollie of course, and Julian Beck of the Living Theater, who else? From the bottom left corner clockwise it's Sacco and Vanzetti; Albert and Lucy Parsons; Voltairine DeCleyre; somebody I can't remember; Cozmik Lady (a long-time fixture in the Haight-Ashbury neighborhood); one of the Radical Faeries (whose name I can't remember); someone else I can't remember; Emmet Grogan; Emma Goldman; Alexander Berkman; another guy I can't remember; Senya Fleshin; Mollie Steimer; Paul Goodman; Judith Malina (co-founder of the Living Theater); Julian Beck; and the Magon brothers. I believe the guy in the very back is Brad Will - the mural was almost finished when he was murdered. That mural is ten or more years old; I seriously doubt it's Brad Will. The photomontage comes by way of Pseudo-Intellectualism blog. It appears the editors wife's great aunts, Fannie and Lisa Luchkovsky were members of the Frayhayt group, which he seems rather proud of.